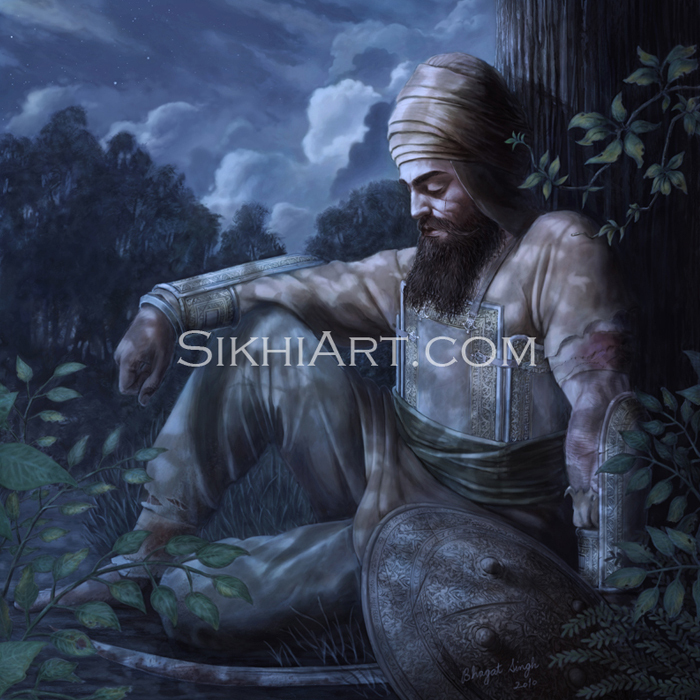 “He is a warrior, who fights in defense of righteousness against one’s own inner evils. 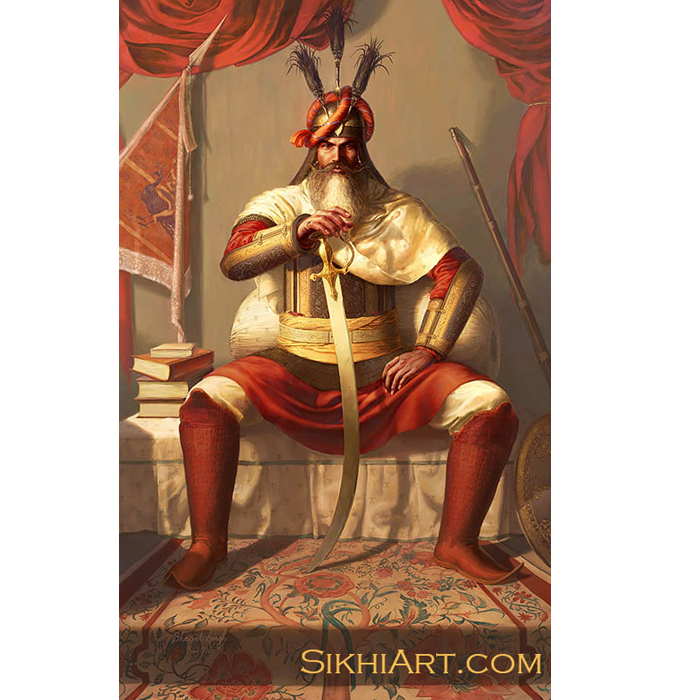 Baba Deep Singh ji is revered by Sikhs as one of the most honoured martyrs. 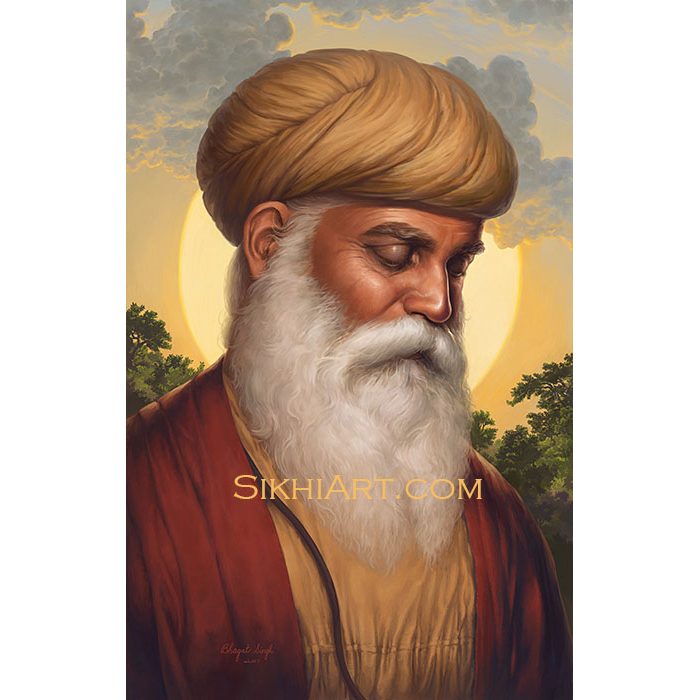 He is remembered for his devotion to the Sikh religion, and his sacrifice for Shri Harimandir Sahib, commonly referred to as the Golden Temple or Harmandir Sahib. 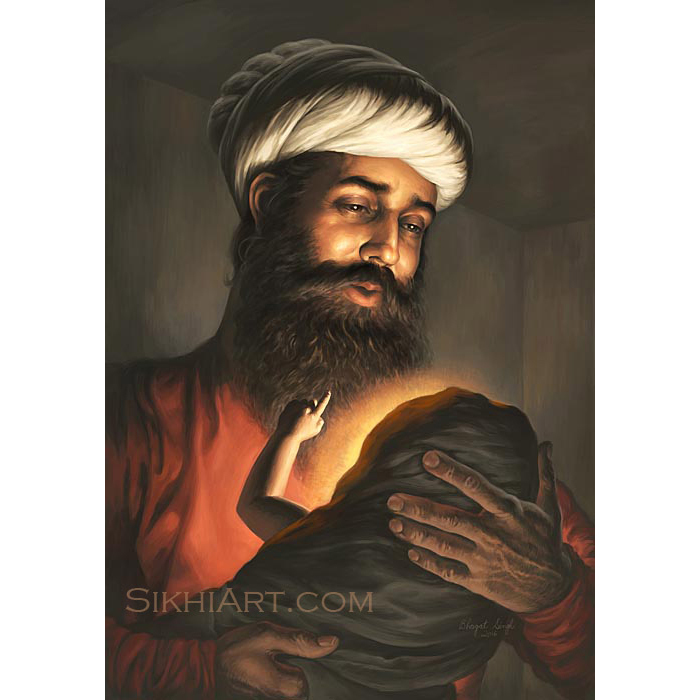 Baba ji was born in a village called Pohuwind in the district of Amritsar, in 1682. 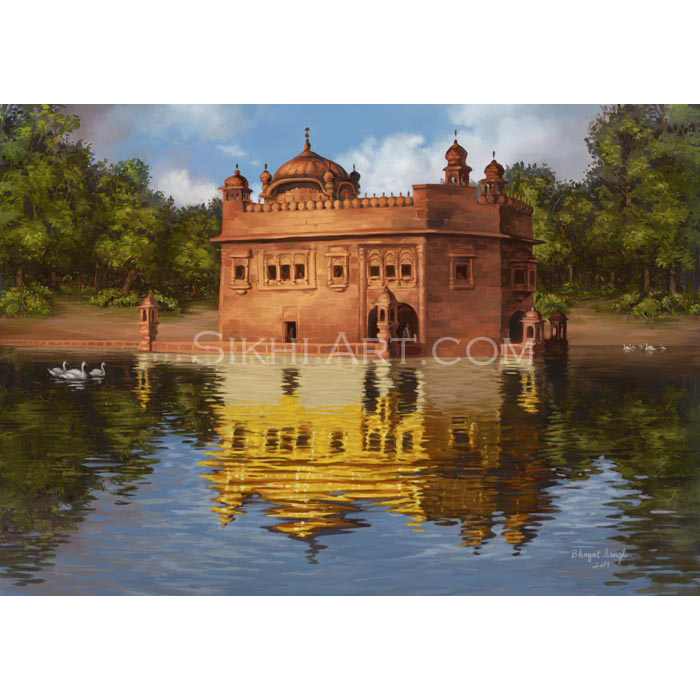 He went to Anandpur Sahib on the day of Vaisakhi, and was initiated into Khalsa. Like the other Khalsas, he spent much time learning martial arts and discipline, horse riding, and studying of Adi Granth, the Sikh scripture. In 1702, he got married and settled down. Later, he helped make copies of Adi Granth, with Bhai Mani Singh. 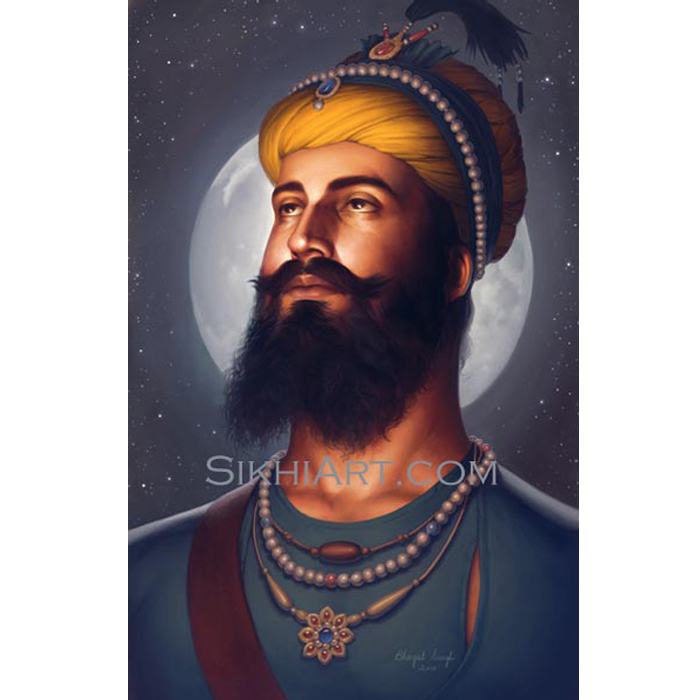 In 1708, he went on several campaigns under Baba Banda Singh ji Bahadur, and was later appointed by Nawab Kapur Singh in 1733. 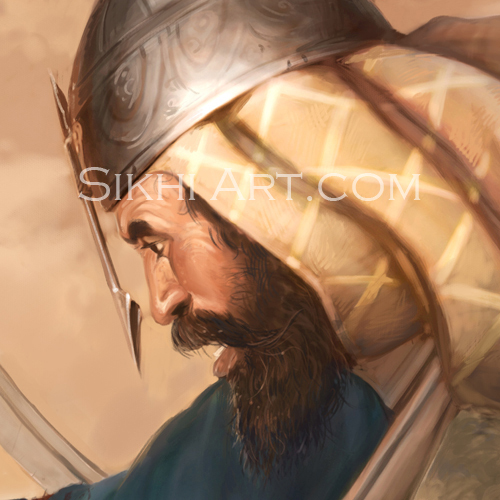 During the Vaisakhi of 1748, 65 smaller squads got united, and were reorganized to 12 bigger ones, with Baba Deep Singh ji as the leader for one of them. This squad was named Shaheed, after Baba ji’s martyrdom. Baba Deep Singh ji on his missions, saved many women and children from the hands of Ahmad Shah Abdali – during Abdali’s 4th invansion. He also recovered the vast amounts of treasure that Abdali was transporting along with the female slaves. Abdali, while departing from Lahore, ordered his son also the governor of Lahore, Taimur Shah, to demolish gurudwaras. 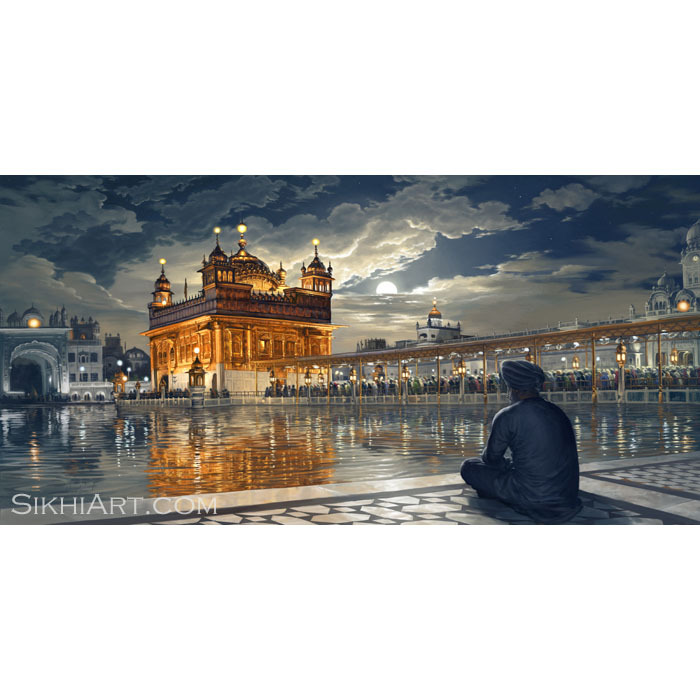 When Baba ji heard of his actions, he immediately called forth a meeting at Harimandir Sahib. 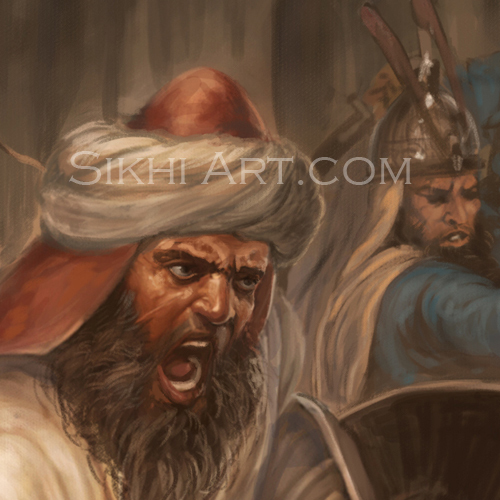 Seeing approximately 5000 Khalsa move to the Gurudwara, Taimur Shah planned an attack. 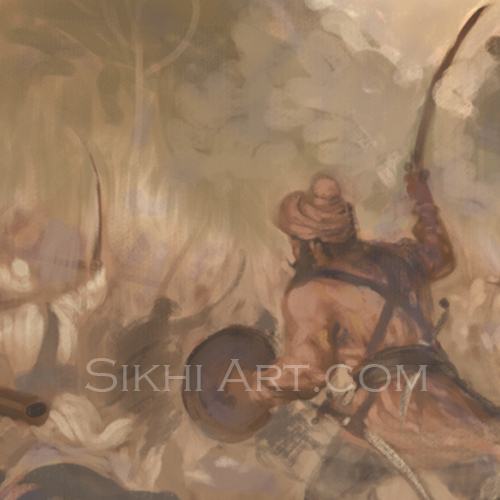 He positioned his armies 6 miles from Harimandir Sahib; it wasn’t long before both armies clashed near Gohalwar in 1757. 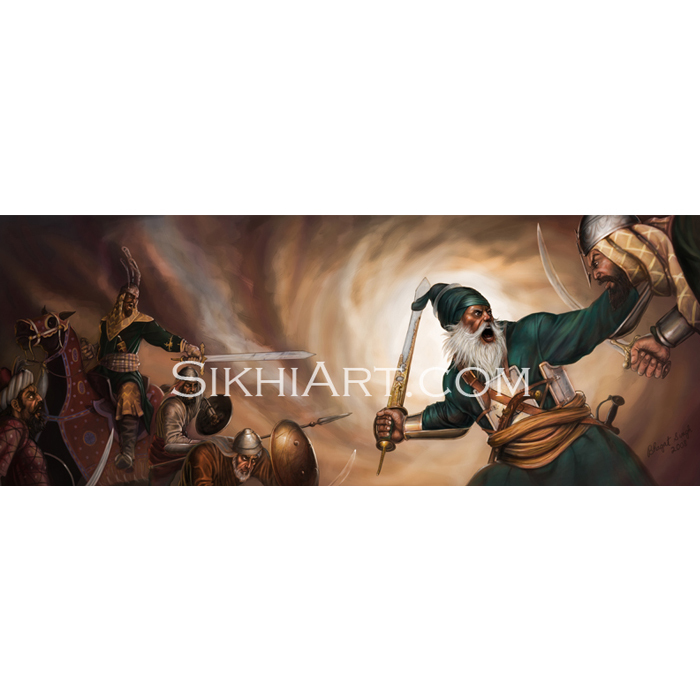 During the battle, an opposing commander by the name of Attal Khan made a fatal blow on Baba Deep Singh ji’s neck. 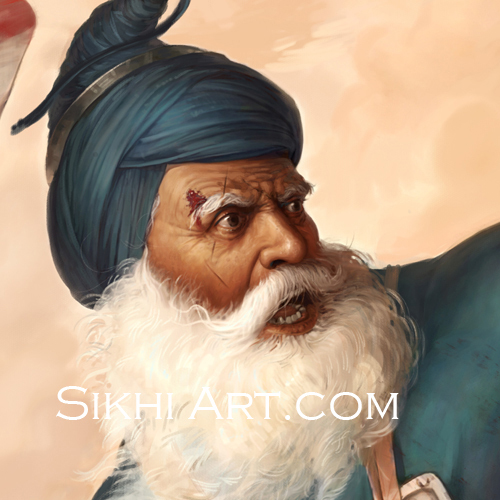 A nearby Sikh reminded him of his duties, and hearing this Baba Deep Singh ji supported his broken neck with one hand, picked up his Khanda with the other, and charged! 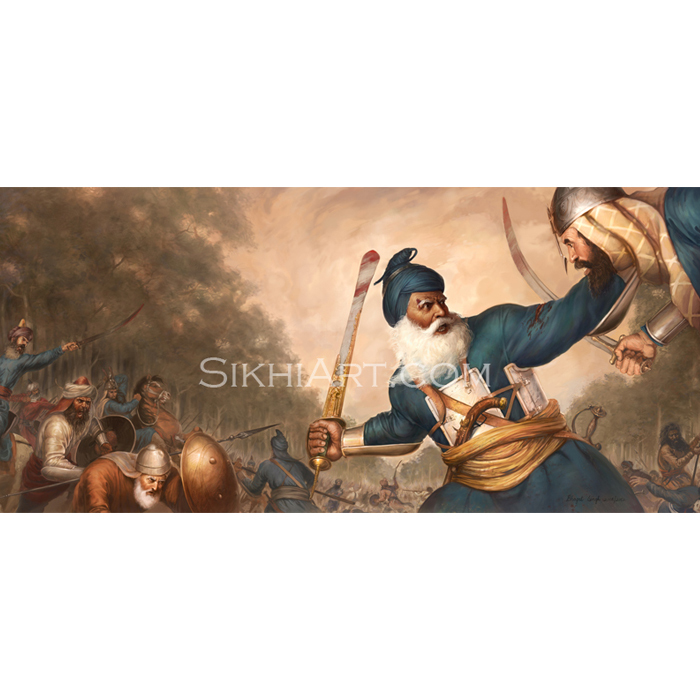 He was filled with such strength that he continued the fight until he reached the periphery of Harmandir Sahib, where he passed away. 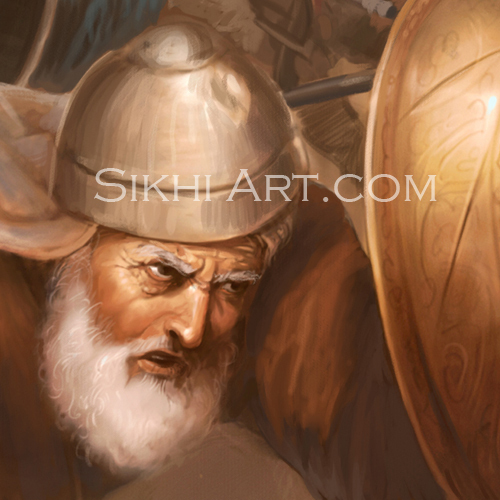 In this painting, the artist has adorned Baba Deep Singh with the Char Aina armour of the time. He is carrying his signature Khanda, and some weapons such as the Matchlock pistol, in his sash. Around him one can see both high and low ranking Afghan soldiers, with an Afghan general mounted on a horse. I really like this picture. Especially as it is not showing the traditional severed head image, which I think takes away from Baba Deep Singh’s humanity and real courage. Your picture is much more truer and in the spirit of valour. Hi Bindi, thank you! However, I am wondering, why do you the traditional severed head image takes away from his humanity and courage?